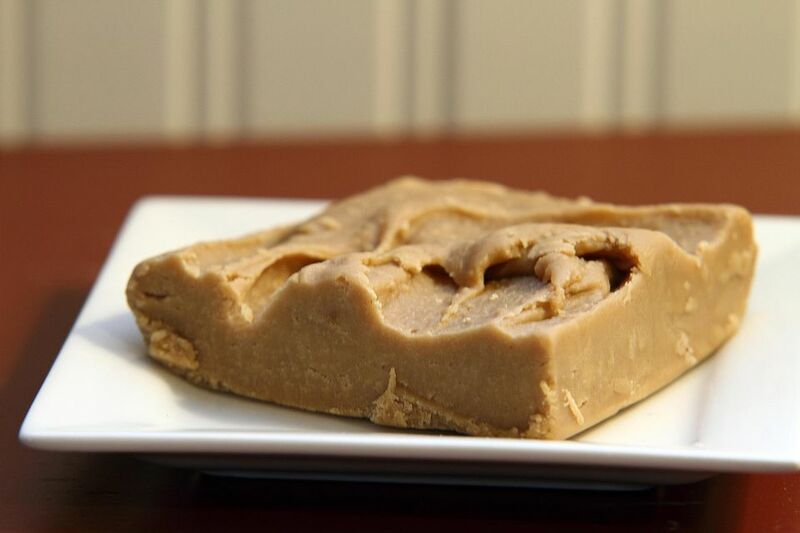 Penuche, or panocha, is a brown sugar fudge candy that is popular in Mexico and many parts of the United States. These sweet squares are packed with toasted pecans for a savory crunch. Prepare an 8x8-inch baking pan by lining it with aluminum foil and spraying the foil with nonstick cooking spray. Combine the milk, sugars, salt, and corn syrup in a medium saucepan over medium-high heat. Stir until the sugars are dissolved. Insert a candy thermometer into the mixture. Continue to cook, stirring frequently, until the mixture reaches 234 degrees. Remove the pan from the heat and stir in the butter. Allow it to cool to room temperature. Once the candy is cool, stir in the vanilla and beat until the mixture lightens in color and is creamy. This is best accomplished with an electric mixer, but you can use a wooden spoon if necessary. Stir in the chopped nuts and pour into the prepared pan, smoothing the top. Place the candy in the refrigerator to set for 2 hours. To serve, cut into 1-inch squares.